What were the initial difficulties you encountered when you self-published? Well, the process took me a little while, since I laid it out myself and designed the book jacket. Before I laid it out I got an editor I trust, Kristen Elde, to copyedit, tighten, and proof the manuscript. I was lucky because she was also a friend who shared my general sensibility and playfulness with language. Then I just exported the files as a hi-res PDF, and voila, the files were all set for print-on-demand. I only did paperback in 2010 as it wasn't as easy as it is now to format an eBook - it was still super-glitchy - so I just stuck with the basics. Sales were...modest is a nice word for it in the beginning. It was tough getting attention for the book. 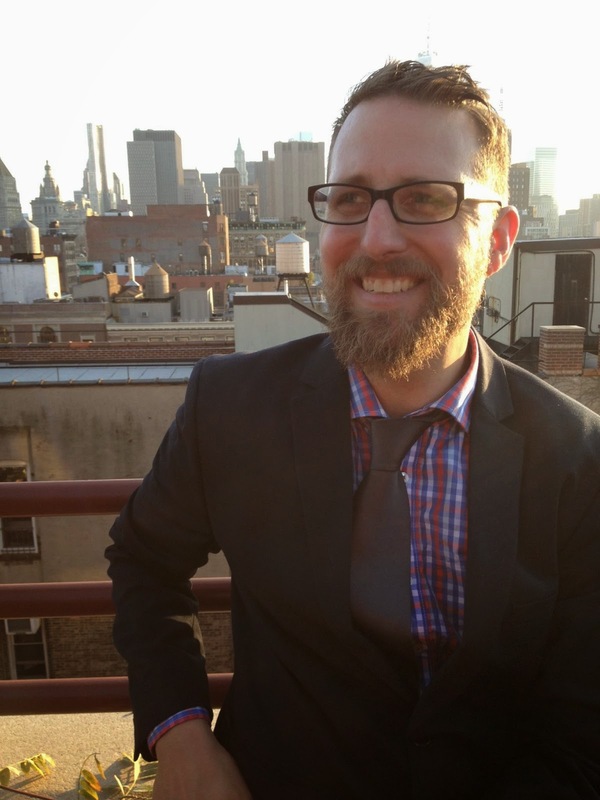 I had a great book release party for it in New York, which garnered some local press attention, but most of the time I felt like I was shouting into the abyss, which essentially you are as a self-publisher, let's be honest. The good news is that folks who are social media savvy have all these great avenues for getting noticed, even if the old guard utterly ignores you. I'm sadly not so great at utilising social media! So it's a good thing Amazon Publishing found me, otherwise I'd still be selling copies door to door. How did you get Publishers Weekly to review the book initially - I heard it was their review that caught the eye of an editor at Amazon? It was serendipitous, really. The book was available in June 2010 and Publishers Weekly announced in September that they were going to start a quarterly insert dedicated to self-publishing called Publishers Weekly Select. You could pay to have your book listed and you would also be eligible to be chosen for a review. 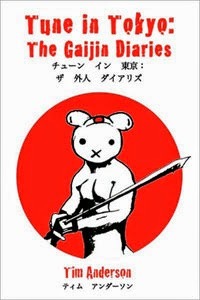 They chose Tune in Tokyo: The Gaijin Diaries and gave it a great review they also did a profile of me in the inaugural issue. This coverage caught the attention of Terry Goodman, an acquiring editor at Amazon, and they offered to reissue the book, which they did in November 2011. The only difference in the self-published version and the Amazon reissue was a few minor copyedits. And, because the reissue came out in the wake of the horrible earthquake that hit Japan in 2011, I took out a flip reference to earthquakes I made in the prologue. What is AmazonEncore imprint? You also have a new memoir, Sweet Tooth, published under another Amazon imprint Lake Union Publishing. What are the problems or benefits associated with this? I should say that before they contacted me I had no idea that Amazon had a publishing division! But yeah AmazonEncore is Amazon's imprint for self-published books that they've found and want to republish and bring to a larger audience. I'm not sure how many imprints Amazon has but it seems like quite a few, for romance, mystery, sci-fi, young adult, translated works, etc. The main problem with having Amazon as your publisher is that, because bookstores hate Amazon with such a white-hot rage (this isn't a judgment it is a statement of fact!) many of them refuse to stock Amazon Publishing titles. This is incredibly frustrating for an author like me who would like to go out and visit bookstores, do readings, and meet readers. Barnes and Noble, in fact, have a blanket policy regarding Amazon titles, they'll order it for you but they won't voluntarily stock it. So my books often don't exist anywhere but in the Amazon ecosystem. It's a great ecosystem, don't get me wrong! But it also feels incredibly limiting, and as a reader I resent the fact that bookstores are actively ignoring good books by good authors because they hate the publisher. My own local bookstore in Greenpoint, Brooklyn - which is always yammering on and on about how it supports local authors - wouldn't allow me to have an event there because of the Amazon connection and they also obviously refuse to stock either of my books. When we started the publicity push for my latest book Sweet Tooth, many media outlets didn't know what Lake Union Publishing was since Amazon did a "soft launch" of the imprint. I don't know for sure if bookstores know Lake Union is Amazon-owned, but I'm assuming they do, since I've yet to see Sweet Tooth on any bookstore shelves. How do you promote your works? Well, since doing readings at bookstores is off limits for the most part, I have to take advantage of any other opportunities that come along. I've done some radio interviews and panel discussions, I've FaceTimed with a few book clubs, and I try to blog semi-regularly. Plus I don't turn down any invitations, I'll read/chat to a room full of illiterate mannequins if I'm asked! 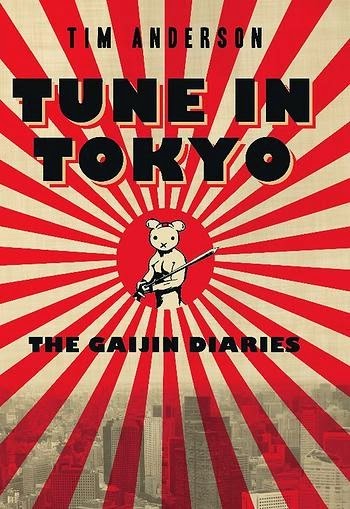 Has Tune in Tokyo: The Gaijin Diaries been translated at all? Is it going to be translated for an Asian market? 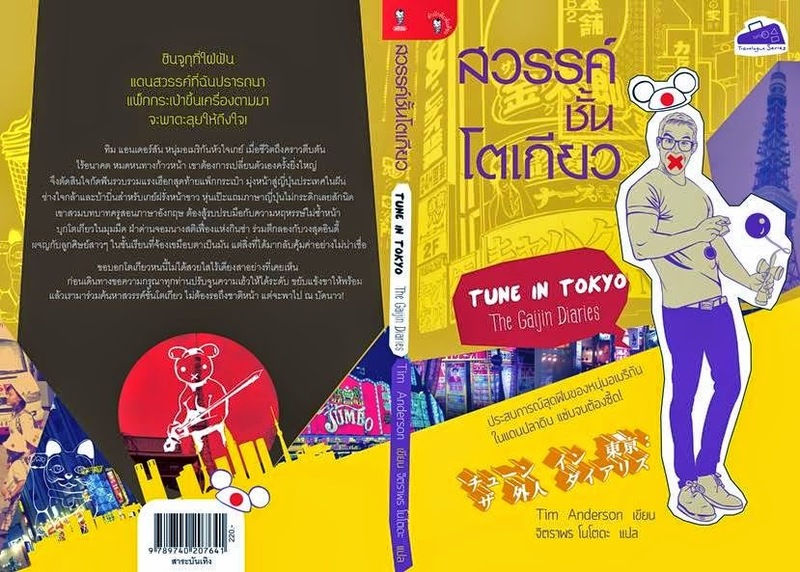 It's been translated into Thai, actually! It was published by Matichon Books last year. They sent me a copy and the jacket design and layout are fantastic. I was hoping there'd be interest in translation rights from Japanese publishers, but as far as I know there hasn't been. You are writing a new collection of travel stories. Has the new book already been picked up by a publisher and when is it due for completion or coming out? Yeah, I'm working on it now - a collection of travel stories set in Japan and Thailand among other places. It hasn't been picked up by a publisher yet so I'm getting ready to embark on an agent search (back to square one). I'm still contractually obligated to show my next manuscript to Amazon. If they like it, then I'll have to decide what I want to do. I appreciate being published by them, but like I said, I'm very frustrated by the distribution problems. And, of course, a collection of travel stories should be in airport bookstores everywhere! I'm not sure if Amazon can make that happen. What tips do you have for other writers wishing to self-publish? Well, number one is to write a good, solid manuscript - and the only way to be assured that you have done that is to get people close to you who you trust to read it. Feedback is absolutely crucial. Because as a self-published writer you have a lot to prove - for one thing, you have to prove you can put together a great book that could conceivably have been published by an actual publisher. Hire an editor to work the manuscript over, tighten the prose, and deal with any continuity issues, logical inconsistencies etc. The book also needs to look good, so if you have no design experience, avail yourself of some of the services out there that can help you get the look you want. There's a lot more assistance out there now than there was even when I self-published four years ago. You read more about Tim and follow his blog by clicking here. Tim’s books are available at Amazon and Book Depository.